If you are looking for staffs who could augment your webhosting business, then AssistanZ is just the partner you’re looking for. Our resources have all the experience and knowledge relating to the domain to keep your business running at optimum levels. So let us handle your customer support requests. 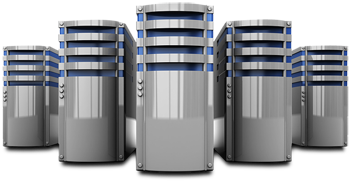 We also offer all the backend support you require to carry forward your webhosting program successfully. These backend support include solving technical issues, support in billing and round the clock presales and sales support. Our experience as an outsourced service provider has taught us that clients have varying needs. What works for one need not necessarily work for another. So, while some companies require support 24/7, some might require only during the day or night. It is this understanding that has enabled us to work out different plans for different businesses. 9 years of experience and exposure in IT services for webhosting, ISP and data center industry. As soon as you sign up with us, we would be sending you a copy of the NDA – Non Disclosure Agreement and SLA – Service Level Agreement duely signed by our management authorities. Our Standard SLA includes 30 mins Response Time and the resolution time depends upon the level and the complexity of the issue. For any identified issues, the client is provided with a PIR – Post Incident Report and this is also recorded and analyzed at our end to fix its root cause and ensure such issues never occur again.